After Mass last Saturday, Jomar and I decided to take a trip to Memphis without living Vancouver. How? 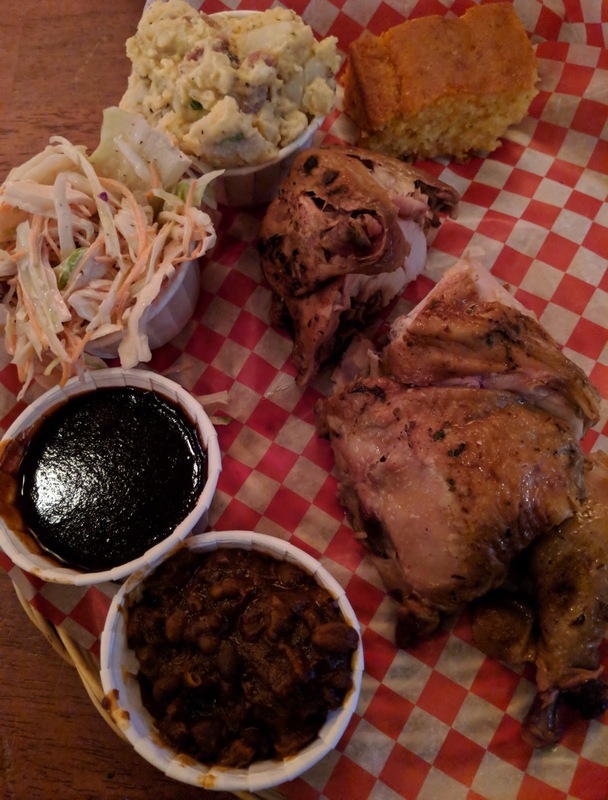 By trying barbecue from Memphis Blues Barbecue House in West Broadway. I love barbecue. Whether it's Korean or Filipino-style, barbecue tastes so good! It's tangy and sweet and a bit of heat. Yum! Going to Memphis Blues, I have no idea what to expect all I know is that You Gotta Eat Here visited this joint. Jomar and I (like we always do) order a starter, main course, and dessert. 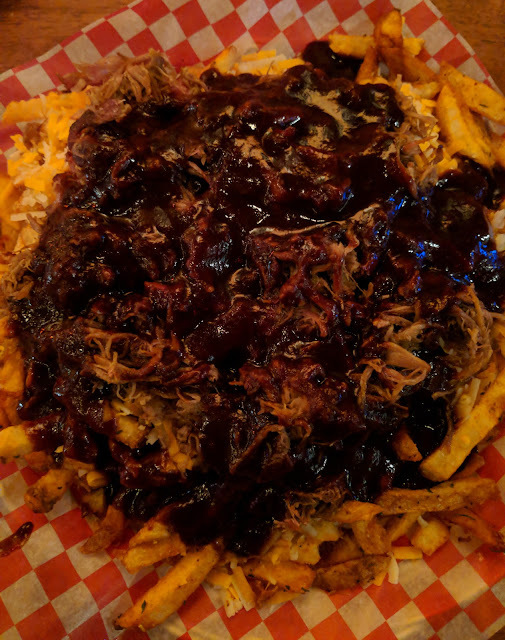 For our starter, we picked BBQ Poutine. I mean, we're in Canada, of course we'll pick the poutine. 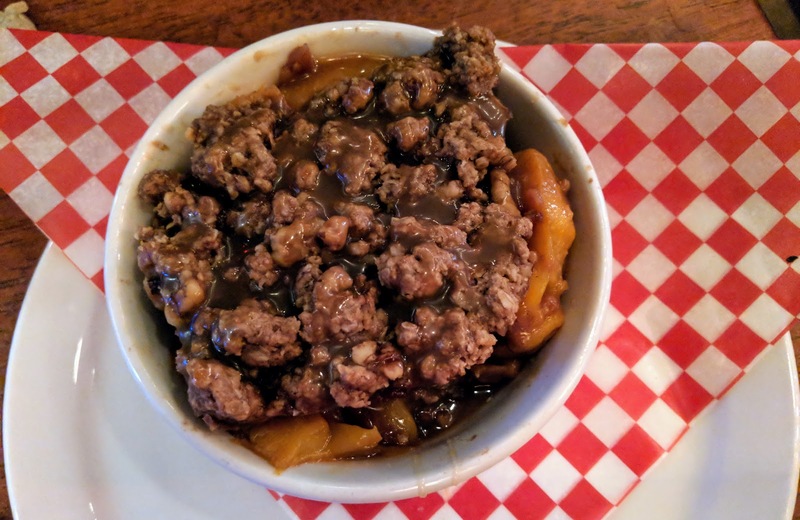 Honestly, it was a debate between BBQ Nachos or BBQ Poutine and well, you know what won. It was sooo good. The fries is crispy even though it's smothered and drowning under the weight of the pulled pork and BBQ sauce. The cheese (though not as melted as I would like) provided a creamy texture. Moreover, the serving size is so big, it's definitely good for 3-4 people as a starter. Of course, Jomar and I finished the whole thing and was stuffed. We wondered how we're going to finish the rest of our order. 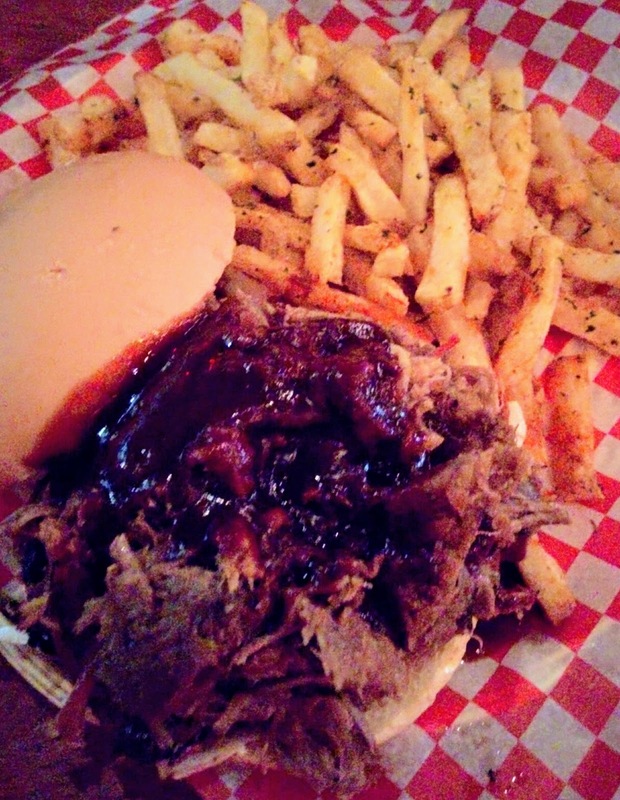 I don't know what to expect when I ordered pulled pork sandwich with fries. It was big and I wasn't sure how I should take a bite. I did and pulled pork was falling of the sandwich. It was messy, the way it should be. It's as great as the poutine but I was so stuffed that Jomar and I had to share it and just bring home his order. We had to take home the BBQ because the poutine made us full (plus we're saving some room for dessert). However, we still very much enjoyed the BBQ Pit Beans and Corn bread. I don't know why but I didn't enjoy the potato salad. We should have ordered the fries for this one as well. Pecan Pie is my favorite pie and I was so sad that it was not available when we went there. We settled for Peach Crumble which was good but I was looking forward to the Pecan Pie. There you have it! Our 'US tour' with food and in our beloved Vancouver. I wonder where we should go next. 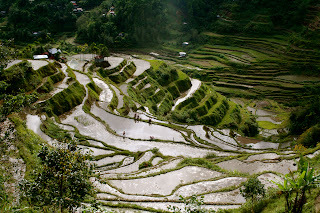 What do you collect when visiting a new place?